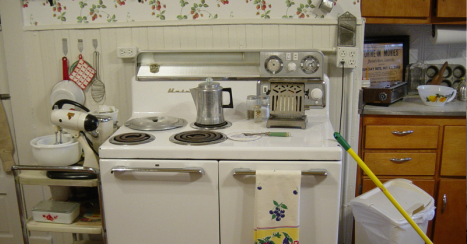 The​ museum currently has two kitchen displays. Our original display is in the room that was originally the dining room. It connects to the original kitchen through a door on the west wall.